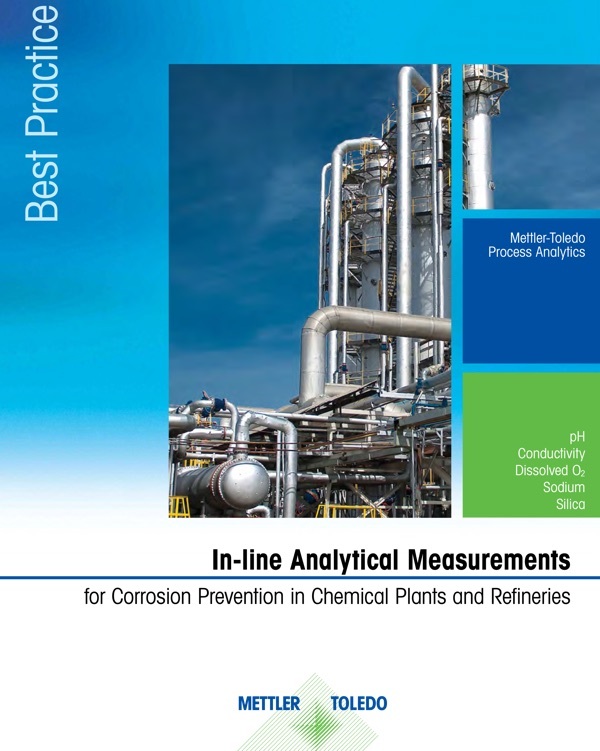 "An ounce of prevention is worth a pound of cure", particularly when dealing with corrosion and it's effects on process equipment. Production downtime, safety concerns, environmental damage and personnel health all outweigh the obvious repair and replacement cost of the damaged equipment. All taken, the annual costs due to corrosion are estimated in the process and power industries are estimated to be around $750 billion globally. Exterior treatments, such as painting and specialized coatings provide satisfactory results to maintain structural integrity. However, internal protection of process equipment requires a different approach. Building equipment from exotic materials which are immune from corrosion exceed any practical concept of reasonable cost. Another, much more reasonable approach is corrosion protection based on chemical treatment. 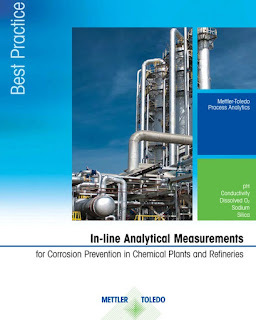 This guide, courtesy of Mettler-Toledo Process Analytics shows you the role in-line analytics play in keeping corrosion under control and avoiding unnecessary chemicals consumption in chemical plants, refineries, power and Cogen facilities. Your local Process Analytics specialist can help you select the best equipment and strategy. Their experience and knowledge will save you time, money, and ensure quality. There are many industrial applications for process refractometers; particularly useful in the food and pharmaceutical industries, where there is a need for solids content measurement. Process refractometers are used to optimize production processes, ensure consistency and purity, and in managing quality control. 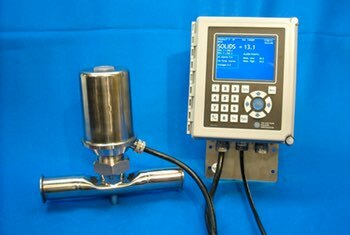 Process refractometers and inline process refractometers, are types of refractometers designed for the continuous measurement of a fluid flowing through a pipe or inside a tank. They provide analysis to quickly, dependably, and to accurately identify a sample to determine its concentration and purity levels. By measuring the refractive index and temperature of flowing liquids, refractometers can then apply a mathematical function to determine the precise concentration of dissolved solids. In commercial food applications such as jam or jelly production or the processing of soft drinks or wine, refractometers are used to measure degrees Brix. 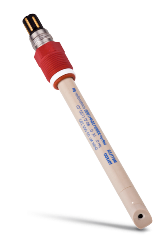 Bix is a graduated scale, used on a hydrometer, that indicates the weight of sugar per volume of solution at a given temperature. The Brix scale relates refractive index to sugar concentration, and is a method of maintaining consistency. For example, process refractometers are used for the concentration process of fruit juices. The concentration process is normally achieved by removing water through evaporation, and by measuring Brix, the evaporation process can be controlled and related to the desired juice concentration. Process refractometers are also used in pharmaceutical processing where there is the need to monitor and control concentration levels during supersaturation, a critical process in crystallization. Crystallization is a critical element in the purification of solids in pharmaceutical production. The process refractometer guarantees precise monitoring and a high degree of measurement accuracy and reliability, towards the production of a pure product.